Running is a relatively safe sport. But, that does not mean that you’re 100 percent out of harm’s way while hitting the pavement. This is especially the case if you do any running on the streets and in urban areas. 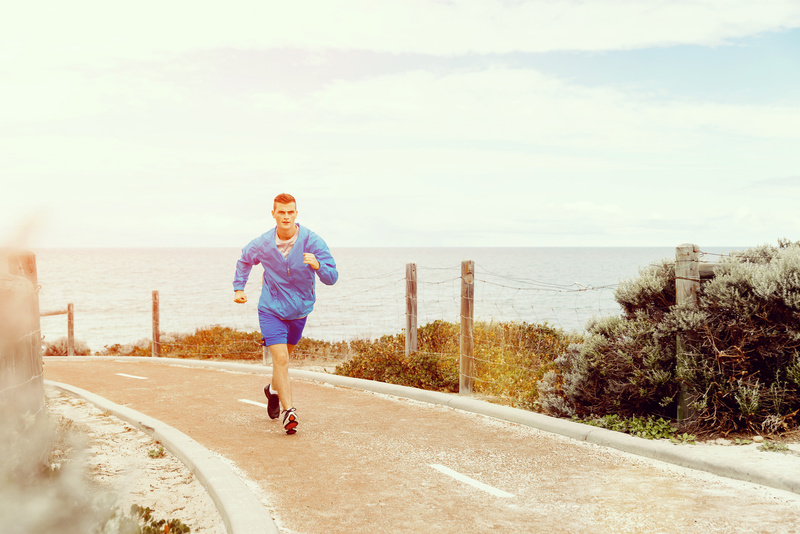 Running inside urban areas, especially in the heart of a busy and bustling metropolitan city, is so different than running in a stadium, the park, a quiet neighborhood, or on a remote trail. Sure, every surface has its challenges, but when it comes to the city, some of these hurdles can be quite lethal. The fact is, there are potential dangers that lurk literally around every corner and intersection. So, as an urban runner, you have the responsibility to keep yourself (and others) on the road safe. The numbers are shocking. In fact, roughly 4,100 pedestrians die in the United States every year—that’s about one death every two hours. In fact, I believe that accidents involving vehicles and runners are on the rise as running becomes more popular among city dwellers. Although I couldn’t find any specific related the number of fatalities among the running population, I bet it’s a big number. For that reason, whether you’re a professional marathoner, a veteran biker, or just a recreational runner, following a few safety rules and some old common sense can help keep you safe (and alive) when you hit the streets for a run. In today’s post, I’ll outline a very basic, and simple list, of standard outdoor running safety tips. 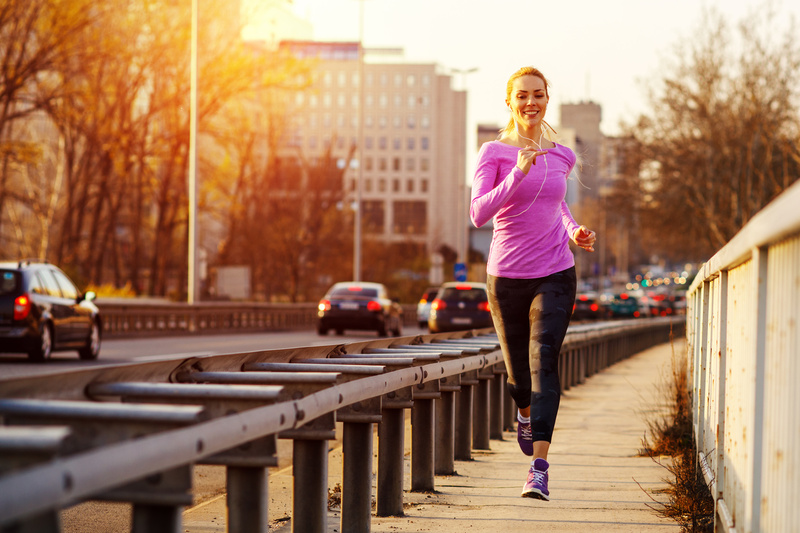 If you abide by them, running in the city can be a great way to get and stay in shape, while staying as safe as possible. Some of the advice I’m sharing with you today is something you probably heard a thousand times (look both ways when you cross the street, for instance), but that does not make them less relevant. In fact, the majority of accidents occur because one or both of the people involved failed to do the “boring” thing. First of all, the best way to be safe while running around traffic and busy streets is to know the traffic rules, signals, and signs, then follow them at all times. Do not cross a road in between parked cars, at the front or back of buses and large vehicles, or the middle of a block, especially on high-speed roads. Instead, cross at areas specified for pedestrian crossings. These are typically found at road intersections—where drivers expect pedestrians. If you a crosswalk is unavailable, then make sure to find the safest and most well-lit spot on the road to cross. Also, make sure to check for vehicles coming from multiple directions and lanes before trying to cross at an intersection. Attempt the crossing only when you’re sure it’s safe to do. Before you cross the road, make eye contact with the driver and be sure they acknowledge your right-of-way both prior to stepping before a moving vehicle, and when moving through an intersection. Never assume a driver sees you. Instead, act as though you are invisible while keeping, at least, a three- to the five-foot distance between you and any vehicle. For more safety, stick your hand out to drivers that you want to cross. Also, be sure to use hand signals when changing directions. A driver might take a swift turn into the crosswalk, or may even run the light. That happens all the time. Some drivers do it on purpose, but the most are too distracted even to notice. Also, at intersections, keep an eye for turning vehicles before you step out of the curb. In some cities, a vehicle may turn right on a red traffic light at most intersections—that’s something I had to learn the hard way during my last stay in Jakarta. You are prone to accidents if you’re running on the road near cars, trucks, and other vehicles. Therefore, make sure to run on the sidewalk if one is available. Frozen sidewalks that may be hazardous and/or slippery. Whenever your gut tells you otherwise. In case there is no sidewalk, then run facing oncoming traffic so you can better observe approaching vehicles and be able to react quicker in case things took the wrong turn. This also makes you more visible to cars, trucks, and buses. If you run with your back to oncoming traffic, you’ll be less aware of any looming danger approaching you. And you don’t want that. The only exception to this rule when you’re about to reach a blind corner or bend where visibility is poor. Keep in mind that if you cannot see around it, neither is the driver coming the other way. In such a case, cross to the right side of the road, and stay as far to the right as possible, keep your music off, and pay attention to what’s happening around you. When visibility is no longer an issue, then, and cautiously, return to the left side. Do not, under any circumstance, run down the middle of the road. Even if you are an elite sprinter, you are no match for the size and speed of a vehicle. The truth is, motored vehicles are faster than you. Usain Bolt, the fastest man alive, cannot outsprint a car cruising at no more than 30 to 40 mph—the speed limits in most cities. The fact is, when a vehicle and a human being collide, there is no surprise to which one stands more to lose. So, please do not challenge a car to race. Therefore, if you and a motored vehicle are both approaching an intersection, stop, and let the vehicle pass first. Do not let your ego get in the way. Just swallow your pride and step out of the way, even if means slowing down, or stopping altogether for a moment. So, please, when in doubt, step aside, or stop and wait. Do not be another traffic statistic. 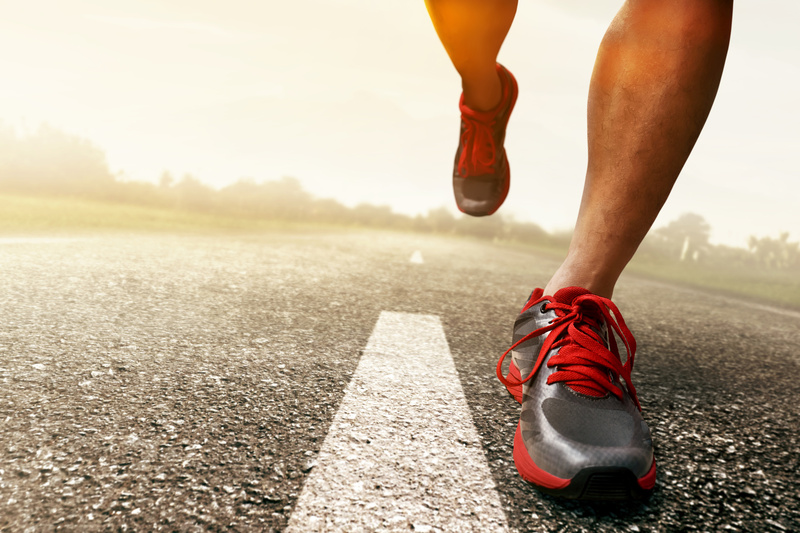 The cardinal rule runners need to abide by to stay safe is to pay attention. With earbuds glued to your ears, lost in thought, or distracted by the noises around you, you may miss the fact that you’ve just stepped into a bustling intersection. Of course, I’m not against getting into the “zone,” but if it’s hindering your awareness of where you’re, tuning in can do more harm than good. So, stay attuned to the surrounding noises, be it a honking horn, the growl of an engine, the sound of an approaching vehicle, or a barking dog—these sounds are potential red flags to keep an ear for. Research shows that running with music can improve training performance and consistency. But that does not mean that you should completely cut yourself off from what’s happening around you. Of course, I’m not against getting into the “zone, ” but if it’s hindering your awareness of where you’re, the so-called zone can do more harm than good. You will longer have the ability to hear oncoming cars, cyclist, or, God forbid, the footsteps of a malicious person sneaking up behind you. Instead, use them to stay aware of your surroundings. As a city runner, your eyes and ears are your best guideline tools for keeping you safe and alive. In case you LOVE your music (just like I do), then at least, be sure to run with one earbud in or with the volume low enough to be able to hear what’s going on around you. Or, at least, consider opting for a pair of open ear headphones. These usually use bone conduction to create mini vibrations, sending sounds through the cheekbones, directly to your brain (your inner ear, specifically). This allows for better situational awareness and comfort. You’re getting the best of both worlds. Do not hit the outdoors during the darker hours, especially at night. Surveys show that about 70 percent of pedestrian fatalities occur at night, with 32 percent of all pedestrian fatalities taking place between 8 p.m. and 11:59 p.m. If you must run in the dark, Whether you’re running early in the morning or late in the evening, wear high-visibility, brightly colored workout clothing and materials, such as sashes, armbands, jackets, and running shoes. If you don’t have reflective clothing, then, at least, carry something light-colored, fluorescent or bright in daylight conditions. In other words, dress to be seen. Dress like a Christmas tree if you have. Yeah, it looks goofy, but it’s much safer than the other, less visible option. As a rule of thumb, whenever you’re exercising outdoors, whether you’re running, biking, trekking, or power walking, make sure to carry some form of identification with you. Most workout-oriented gear has small pouches for this very reason. In general, and as a minimum, be sure to have your driver’s license along with a card that lists emergency contacts, and pertinent medical information (medical conditions, blood type, allergies, etc.). Or, at least, carry your cell phone with your ID and emergency contact list taped to its back. Female runners pay particular attention here. Yeah, of course, diamonds are a woman’s best friend, as the saying goes, but not during your runs. The fact, they will only attract attention, the wrong type of attention. So, please leave your fancy rings, earrings, watch, whatever, etc., back at home. Do not attract any unwanted attention. Be as boring as possible. In other words, don’t be a show-off. You don’t know who is lurking in the shows waiting for their next victim. Do not become a crime statistic. In the end, your gut feelings might be all you need to stay safe on the road. So, if a given street or path is giving you the heebies jeebies, don’t run on it. These include high-speed zones, busy intersections, narrow roads, unlit roads, etc. In other words, when something does not feel right, run in the other way (or direction). Do not second guess your own intuition. By following these simple rules, you’ll definitely stay out of harm’s way and morbid, eye-catching, local news headlines. Next articleWorkout Recovery Science – Why Chocolate Milk After a Run?